Christo Rei, or the statue of Christ the King, in Lisbon is one of the most recognizable places in the capital of Portugal. You can see it from every vantage point and it is undoubtedly an icon of the city. You can reach Christo Rei in many ways. I went there on foot and it was a wonderful, almost all-day trip, which gave me even more insight into the life of the capital. 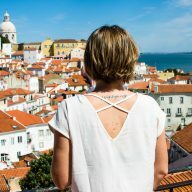 I remember the first time I went to the viewpoint in Lisbon. These were my first days in the city. It was pleasantly warm, and Miraduro da Santa Catarina was bursting at the seams. 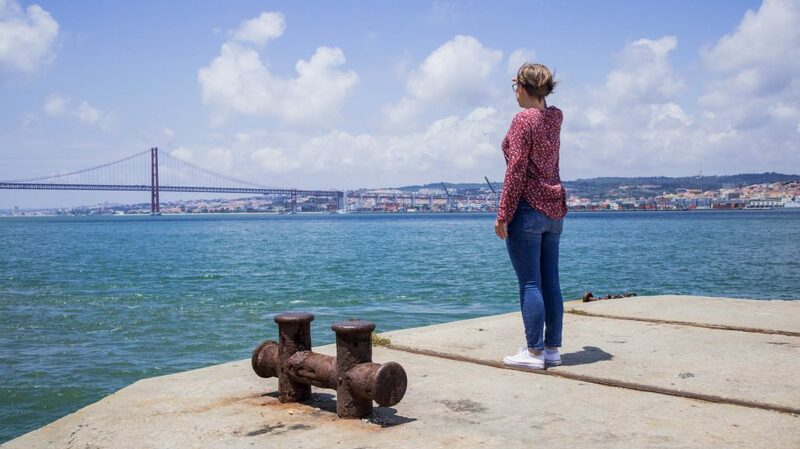 It was then that I saw the Tagus River, the 25th of April Bridge and the monument of Christ the King towering over everything and embracing the capital with its arms. Of course, I quickly checked how to get to the other side of the river and I promised myself that someday I have to go there. It took almost a year to finally pack my backpack and hit the road. I absolutely wanted to go there on foot. Nowhere on the internet, however, I could find out whether it is possible at all. After a short reflection, I said that I will try, and if I can not do it this way, I will catch the local bus. I walked the road from the other side of the river to Christo Rei and I recommend you do the same. 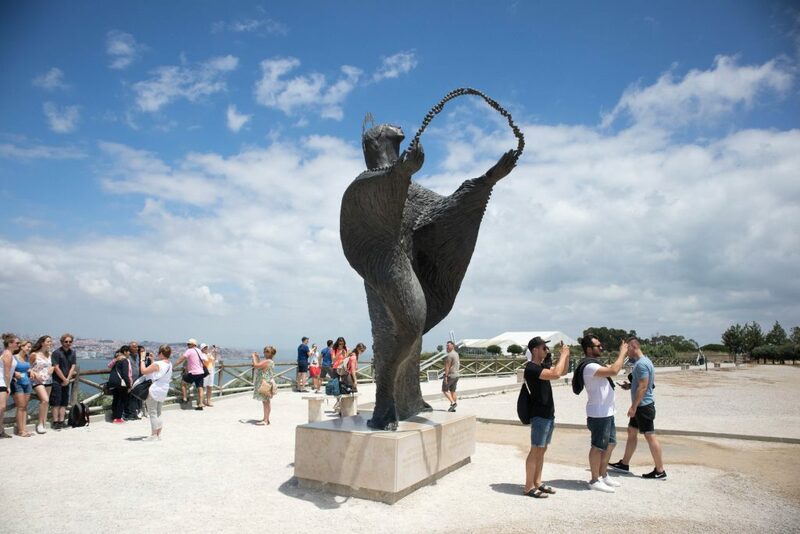 It is an extremely pleasant walk that will show you even more local life in Lisbon. Christo Rei, or Christ the King, is not really in Lisbon alone, but in Almada, a city on the other side of the Tagus River. The monument was built in the 1950s in thanksgiving for avoiding the horrors of the Second World War. 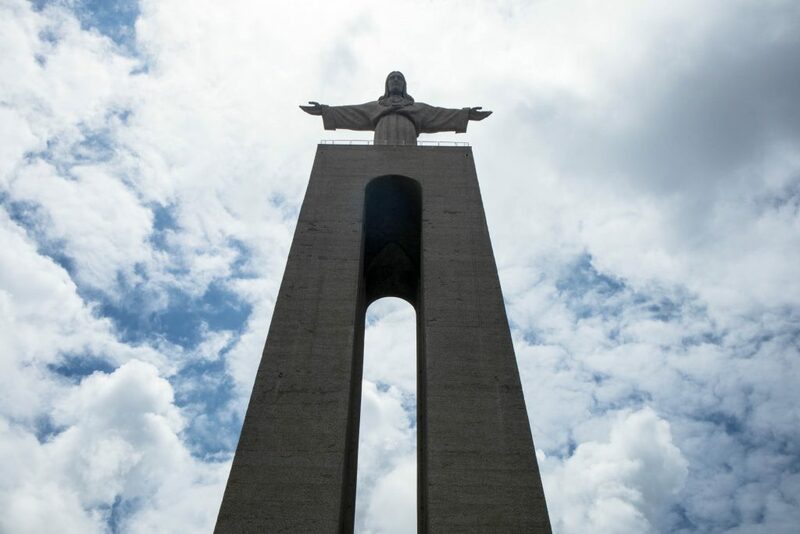 The inspiration for Christo Rei was of course the Brazilian Christ the Redeemer. Both monuments are really very similar to each other. 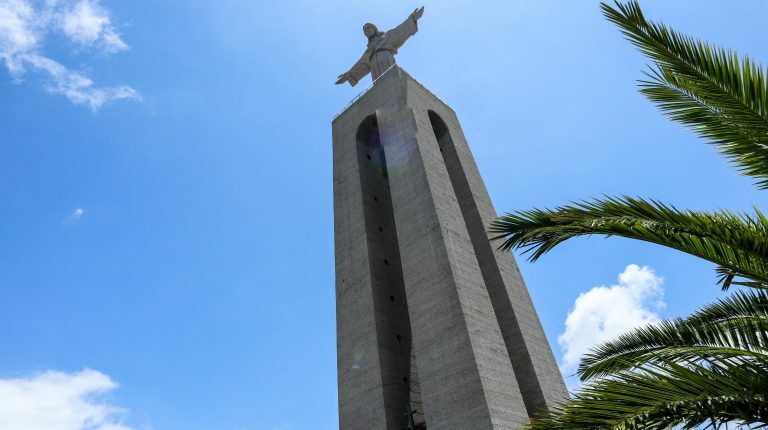 In addition to the fact that Christo Rei is a tourist attraction and viewpoint, this huge statue is also a place of worship. Pilgrims from Portugal, and in particular from nearby Setubal, come here to pay tribute to Jesus. The monument is 110 meters high. 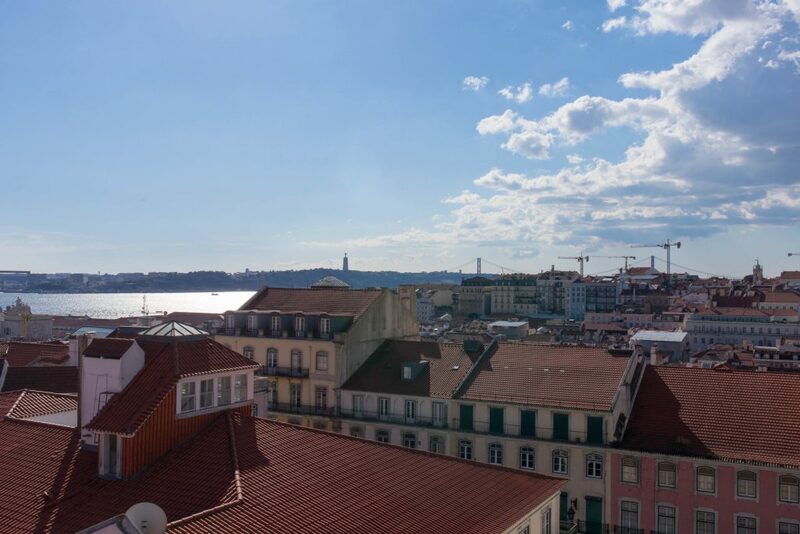 Visitors can take the elevator to the very top and admire Lisbon and the surrounding area. A walk to Christo Rei – Why not by bus? Everywhere on the Internet, the same information is reproduced – it is best to get to Christo Rei by public transport. While it is very comfortable, I think that a short walk is always better. The heart beats faster, the muscles work, the brain gets oxygenated. Just pure health! This is the main reason why I like to walk, but not only. If you decide to walk on foot to Christo Rei, you will have to cross the streets of Almada, which is completely non-tourist and undiscovered. It is a very pleasant city, with local restaurants, shops, and a relaxed atmosphere. It is definitely a walk for those who do not like to rush and want to see what real life looks like in the suburbs. By choosing a walking tour you also save some money. A bus ticket from the ferry is not very expensive, but you can always save a few Euro and spend it on a delicious Portuguese cake. 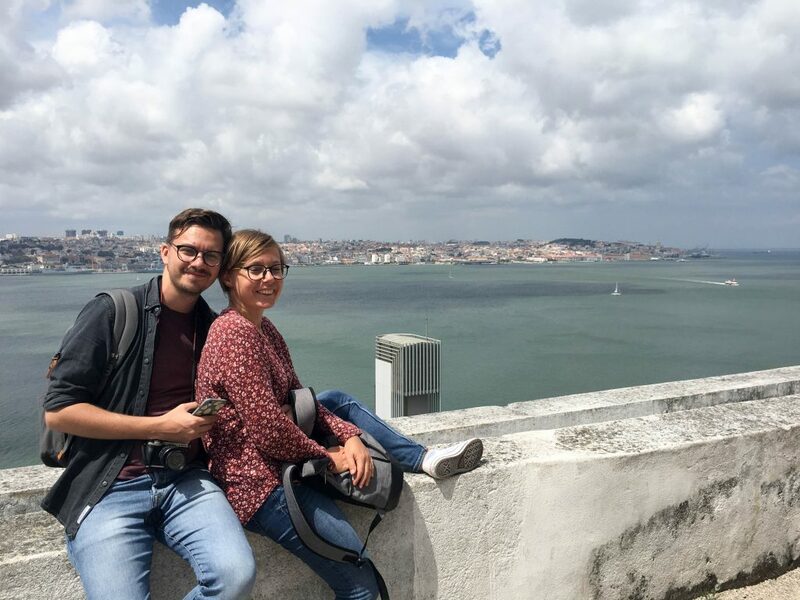 If you’re spending a short holiday here and are wondering what to do in Lisbon, then I really recommend a walk to Christo Rei. I started my trip early in the morning. From my place to Christo Rei it’s quite far and I wanted to make sure that I come back in the evening. From Cais do Sodre I took a ferry to Cacilhas, which I recommend, even if you do not want to reach the monument. 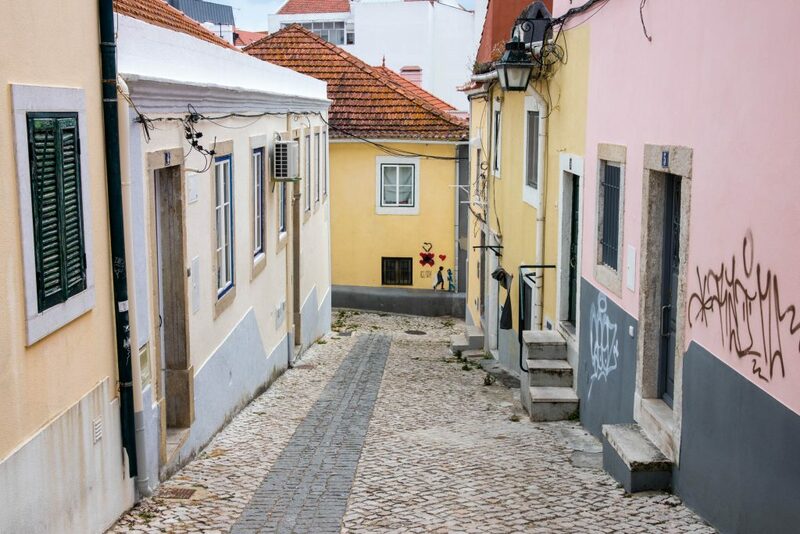 This short cruise from Lisbon to the other side of the river offers amazing views of Alfama. It is simply beautiful on a sunny day. In addition, the whole ride is very cheap. In the ferry terminal, you can buy a Viva Viagem card for 0.50 Cents and a ticket for 1.25 Euro. Remember that the ticket you buy for metro, bus or trains, even though it looks the same, does not work on ferries. You must buy a second card. 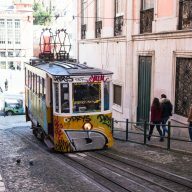 I have already written about transport and how to get around Lisbon. Check it out for more information. I was in Cacilhas before and I wanted to go through some of the same route. From the ferry I went right along the coast. 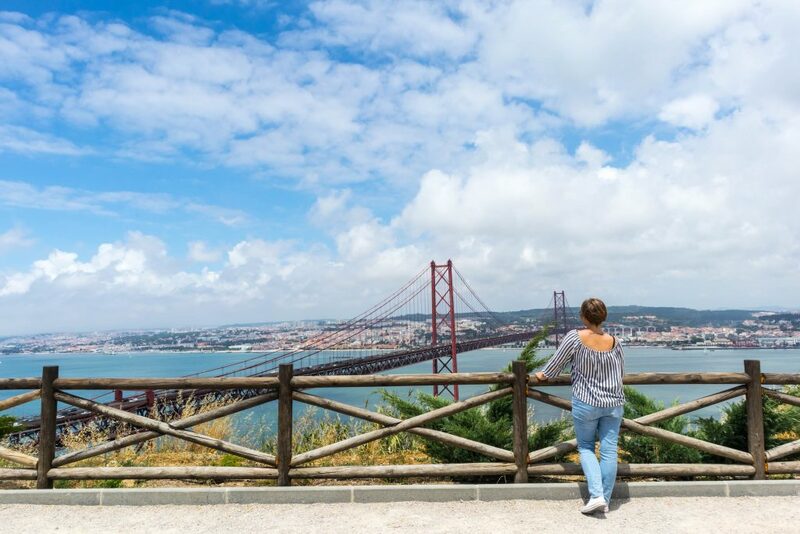 This walk is also recommended because of the beautiful views of Lisbon and the 25th of April Bridge. It is worth mentioning here that Cacilhas itself is a very pleasant town. 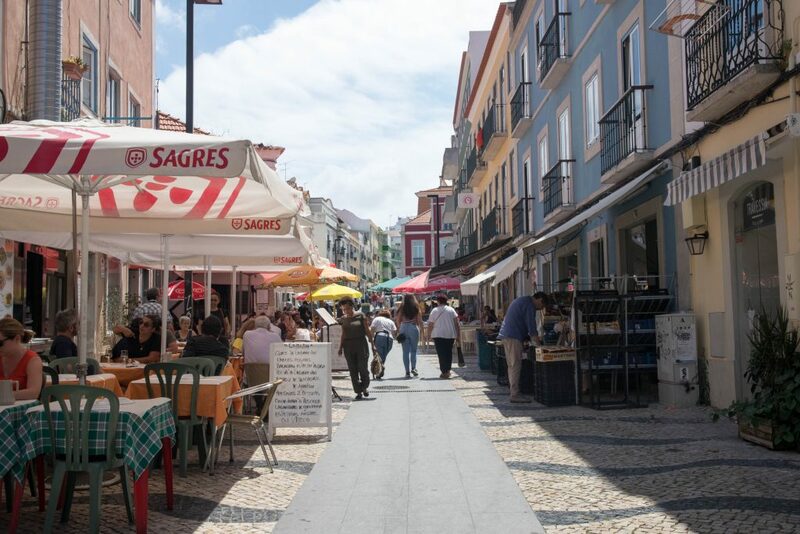 Right in front of the ferries you will find a promenade with bars and restaurants that are famous for seafood, fish and fresh Portuguese beer. 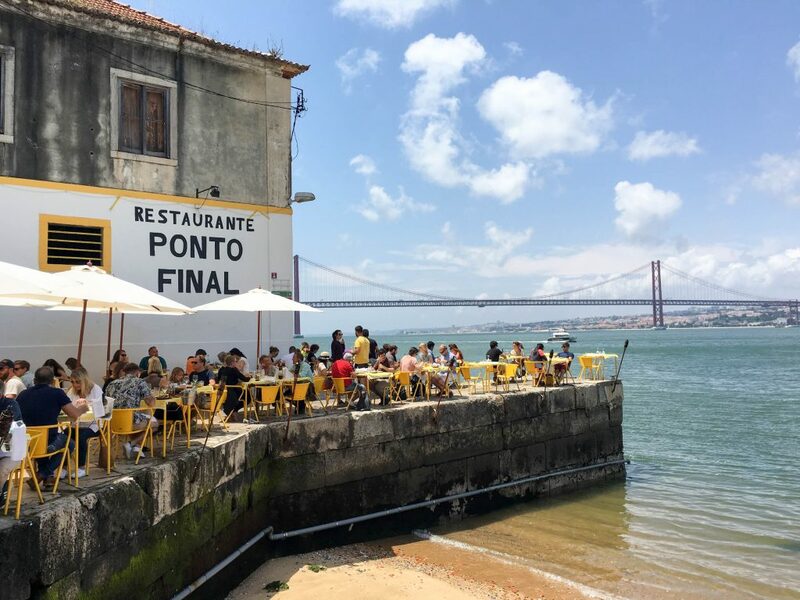 At the end, there is the Ponto Final restaurant, which became extremely popular after the culinary program produced by Netflix – Better Feed Phil. It serves delicious fish and is also a beautiful background for photos. As I was already at Ponto Final, I knew that there are small stairs right at the door to the restaurant, which lead to the viewpoint. Normally, you can go a little further, pass a small park and from there take the elevator to get to the top. However, I always choose a bit more extreme solutions. The entrance to the stairs is not that difficult. A medium-fit person will be able to do it without much effort. 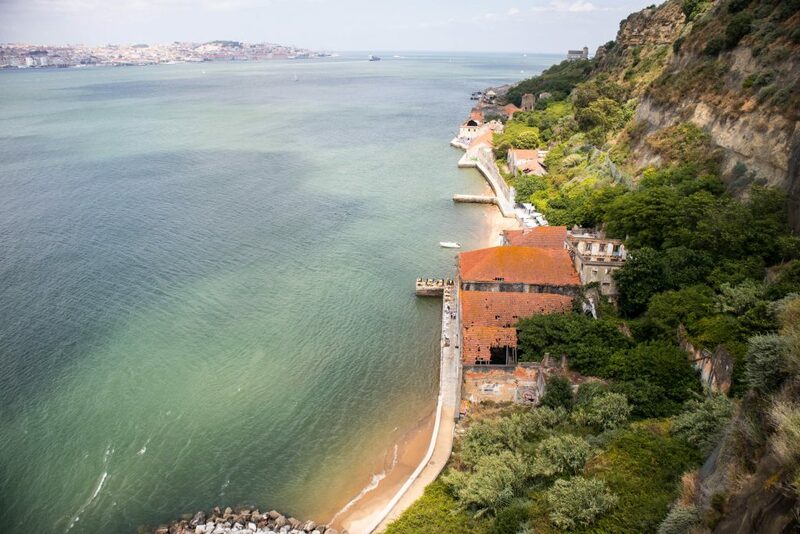 The Boca do Vento viewpoint offers spectacular views of Lisbon and the surrounding area. From here you can admire the city and the river in all its glory. But why not go higher? A little further away is the very nice Coisadegostar café, which is also located by the viewpoint. Also the children will be happy here, because outside the cafe there is a very interesting playground, and a little further there is a small garden, where colorful fish and turtles swim in the pond. I always stay at Coisadegostar for coffee and views. It is a quiet place. Few reach here, and I really like to sit in peace and quiet. From there, a fairly straight road leads to Christo Rei. By side alleys, I got to the main street and then I slowly climbed a small hill. Few tourists walk on foot to Christo Rei and you can see it right away. In Almada there are no cheap souvenir shops and restaurant touts. There are only local bars, traditional tasc and small greengrocers. Life goes on rather slowly. Local residents are standing at the door or sitting at the tables enjoying the Portuguese weather. 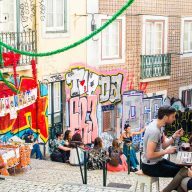 It’s typical Lisbon suburbs that are worth seeing. The whole journey took about 45 minutes. All the time I saw a monument of Christ in the distance and when I began to approach him, I realized how great this structure is. 110 meters is impressive. The square around Christo Rei at first glance looked like there was not much around. Only when I went to see the monument from the front, it turned out that from the statue stretches an amazing view of the city and the river. In my opinion, this is probably the most beautiful view in Lisbon. I spent a lot of time walking from one end of the fence to the other, taking pictures and admiring the panorama. I was alone and had a terrible difficulty setting the tripod due to the strong wind. That’s why my pictures are not as beautiful as I intended. In the middle of the Christo Rei monument there is a small chapel and an exhibition of works of art that can be visited for free. The entrance to the top of the elevator costs 5 Euro. Unfortunately, the waiting time is very long. I was there about 1pm, and the next free tickets were for 7pm. I said I would not wait and come back next time. From Cacihlas take bus number 101, which departs every 30 minutes. The white Viva Viagem cards do not work on the other side of the river. In this case, buy a ticket from the driver. Green cards with the zapping option work without a problem. Get off at the last stop. The monument is about 200 meters away. 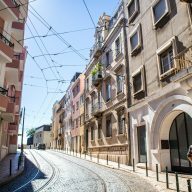 You can also catch a bus from Marques de Pombal. The number 753 goes through the 25th of April Bridge. Get off at the first stop, go over the overpass, go straight until you see a small cafe. Turn left and go straight all the way to the monument. The whole walk will take you 15-20 minutes. 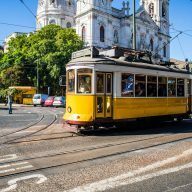 Catch a train from Roma to Coina or Setubal and get off at Pragal. Opening hours: 9:30 – 6:00 (21.09 – 30.06), 9:30 – 6:45 (1-14.07 i 1-20.09), 9:30-7:30 (15.07-31.08). The lift takes you to the 3/4 of the statue and then you have to walk up. There are around 60 steps to make before you reach the top. At the statue you will find a small cafe and toilets. Many tourists avoid the trip to the monument of Christ the King due to time. 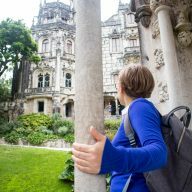 Therefore, I recommend this option to people who want to see amazing views of Lisbon, as well as experience how to live in the suburbs of the Portuguese capital. 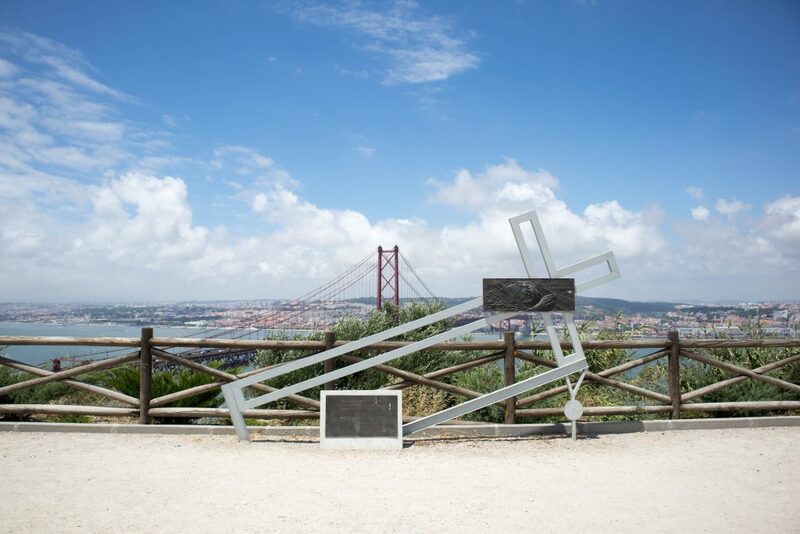 A walking trip to Christo Rei will be a really great option to spend time outside and see some extra places in Lisbon.